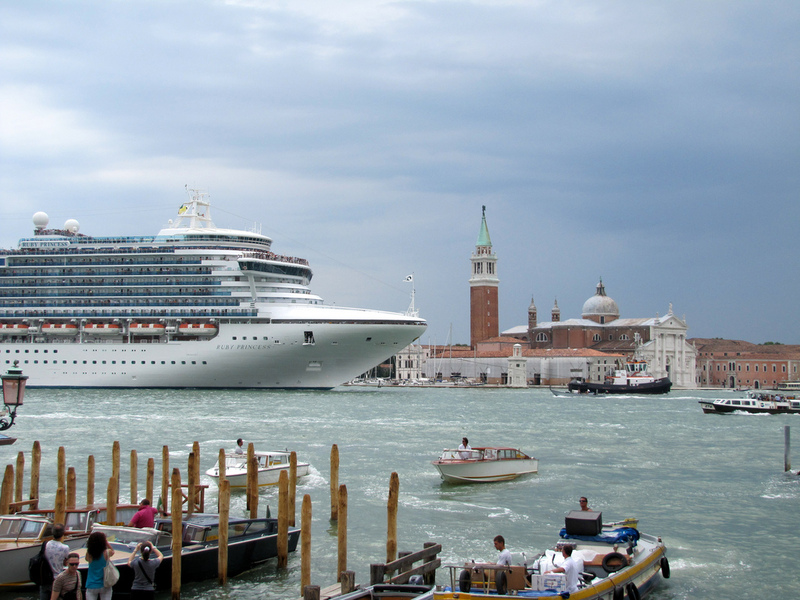 Large cruise ships banned from Venice lagoon along with smaller ships! Government officials in Rome have officially banned all cruise ships over 96,000 tons from sailing through the Lagoon in Venice. The new rule will start from November 2014 which will give cruise lines enough time to make changes. It’s not just the large ships which are effected, Italian officials also put a limit on the amount of smaller vessels sailing through the Lagoon which affects those over 40,000 tons. This is to cut traffic down and keep ships away from the popular St. Mark’s Square. The new rule for smaller ships is being reported as coming into force from January 2014. All traffic will be re-routed through the Contorta Sant’Angelo Canal. The new ruling came from a long-awaited meeting with regional authorities from Venice and Italian Premier Enrico Letta along with his ministers. Several events have made this new act happen, starting for the events of Costa Concordia which sailed too close to the Italian island of Giglio which caused the tragic events of January 2012. Also several large cruise ships have allegedly gotten too close to the Lagoon backs near St. Marks Square which has made Venice citizens worried. Taking a photo from the open deck of a large cruise ship of St. Marks Square are almost over, could this start an increase in last-minute cruises to Italy? Let us know in the comments below.